Nothing is more annoying than being on an important call when your signal starts to flag! Voices start to crack up and eventually the inevitable happens - your signal goes completely and the call ends at the worst time. 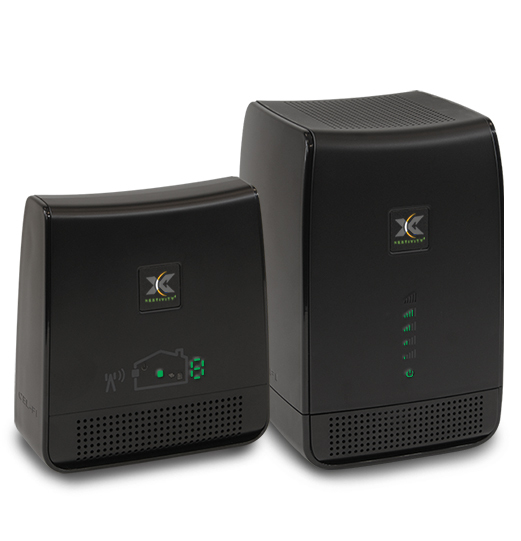 Cel-Fi RS2 from Nextivity are simple mobile phone signal boosters that can take 1 bar of 3G signal and make it 5. No technical knowhow required, no complex manuals to be read, it's as simple as plug-in and play. 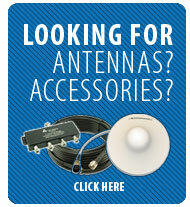 Finally there is a solution to poor signal strength at home and the office. No more will you have to go out into the cold to make a call or congregate with your colleagues at the one window that gives you a paltry one bar of signal. Stay on the sofa or at your desk at work and make that call with peace of mind. All you need is one place in your home or office that gets at least one bar of 3G coverage. No extra service fees, no internet connection required; Just a little bit of 3G signal strength and our revolutionary new Cel-Fi system will bring you blazing fast downloads, smooth video and surfing, and improved voice coverage throughout your home or office. Simply plug Cel-Fi in and you will finally see how smart your phone can be. By enhancing the coverage in your home or office you will now be able to enjoy the functionality of today’s technology. Streaming videos, browsing the web, video chatting. It’s all so much faster once you’ve set up your new Cel-Fi system. The fully wireless, 'plug and play' system works simply by placing your Window Unit in the area of the building with the strongest signal. It will take this signal, as little as 1 bar, and amplify it to up to 5 bars. By placing the Coverage Unit at the opposite side of the building this new, amplified signal will be distributed throughout. Performance - The Cel-fi boosters will increase the 3G signal in an indoor area up to 1235 m2 (13,000 ft2). Nextivity's IntelliBoost Baseband Processor II gives the units unrivalled power and performance. Power - Each of the two Cel-fi units run off 12 VDC power supply via the 2 plugs provided, and the power consumption is less than 12w per unit. Operating - The optimum operating temperature of the units are between 0° to 40°C, and the optimum operating altitude is between -60m and 3,050m. The Nextivity boxes will look to boost our mobile phone signal as much as possible so you can spend more time on the phone and less time searching for a signal. The Cel-fi RS2 boosters will work hard to improve your mobile signal so your device doesn't have to. This means less work for your phone and resulting in longer battery life, less charging and less expense. With increased 3G connectivity you can ensure faster data transfer rates when downloading video, photos, email and data to your mobile phone. Enables clear and reliable 3G voice connections within the coverage area – usually up to 1235 m2 (13,000 Sq. Ft.).